In anticipation of Air New Zealand’s new direct flight from Chicago to Auckland, Invisible North delivered a fully immersive pop-up experience to highlight the best that New Zealand and Australia has to offer. 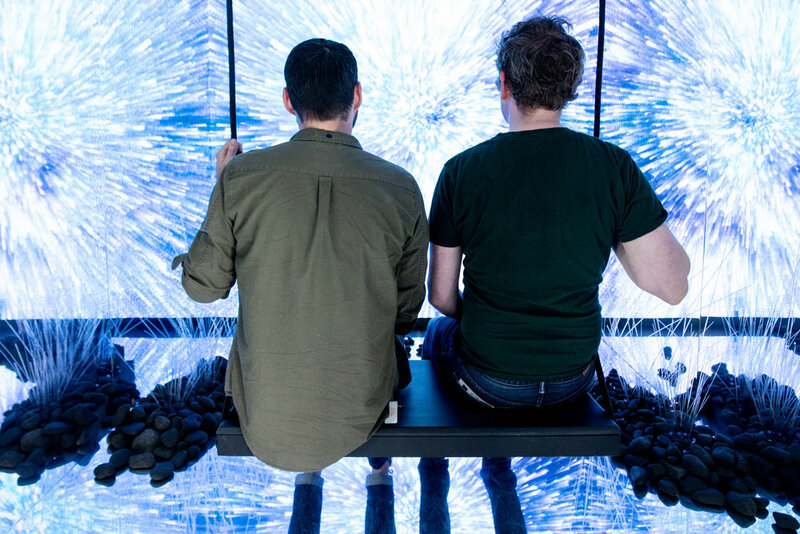 In collaboration with MWWPR, we dropped three shipping containers into downtown Chicago, including a one-of-a-kind infinity room with panoramic sound, tactile elements, and dynamic video content of iconic New Zealand landscapes and scenes of Australia. Additional shipping containers included the dynamic experiences of Kiwi-inspired cuisine offerings and an inflight simulation. The uniquely Kiwi experience was a huge success, truly showcasing why Air New Zealand is a "Better Way to Fly" from Chicago to Auckland. Not only did the brand have direct contact with more than 2,000 consumers, it generated top-tier media coverage in Chicago and beyond.